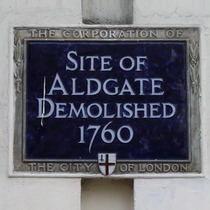 Site of Aldgate demolished 1760. 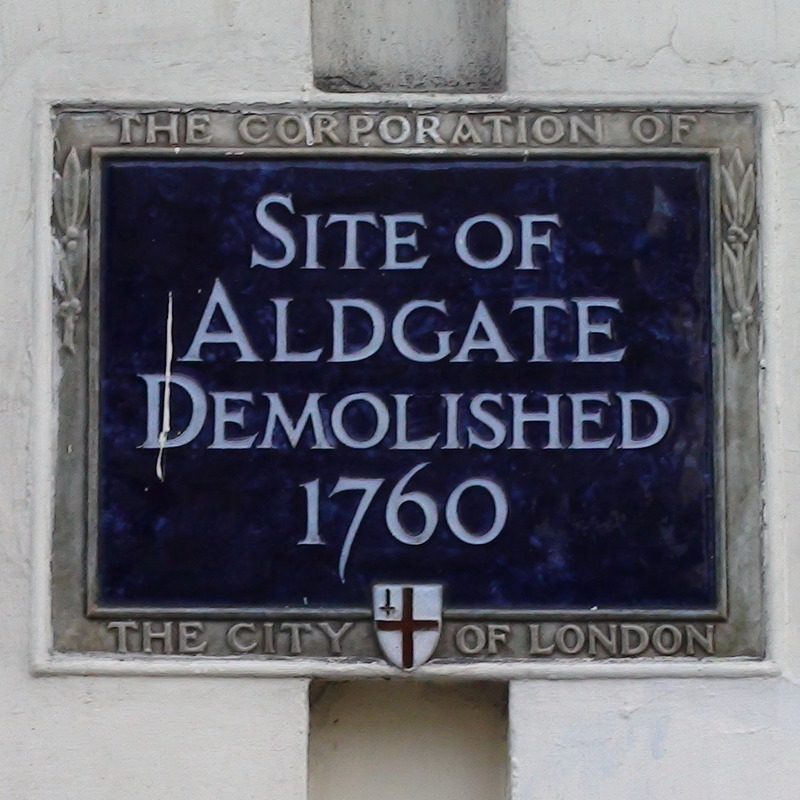 A list of plaques at the London Metropolitan Archive refers to one for Aldgate at 2 Aldgate High Street. The document records that it was the first of a batch, erected 25/6/1923, but that it was removed in 1967 when the building was demolished. We have failed to identify the site of 2 Aldgate High Street.